Oh, reading. Reading is without a doubt my least favorite subject to teach because there are so many aspects of it. I took two reading classes in college and both of them were very theory based; I left college still unsure exactly how to teach students how to read (as in how it would actually look in a classroom). 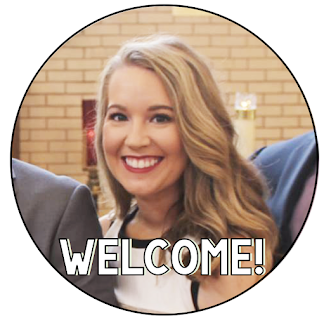 What did I learn from this website? Why is phonemic awareness important? Simple. Because of it's strong correlation to reading fluency. Kids need strong phonemic awareness skills to support literacy development! When teaching reading, we must include phonemic awareness. Well during my reading block our school does not schedule in phonemic development but I have always thought this was so important especially for struggling first graders. This verifies that I'm making the right choices for my students and I'm confident setting aside class time to go over phonemic skills, spending an entire day of guided reading on this, and have multiple workstations with this is a great decision. I work at one of poverty stricken schools so this is especially true for my students. On the tests they have taken vocabulary is always their lowest category. The good news is this website also has great activities to boost vocabulary. I also didn't understand how teaching synonyms and antonyms were going to help my students read (knew how it would help in writing) but now it totally makes sense. Total light bulb moment. 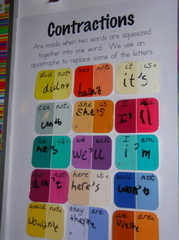 Colored word wall, might try with my first graders. 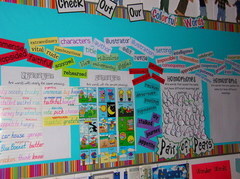 Add not just sight words to our word wall but other vocabulary words from math, reading, science, and social studies. 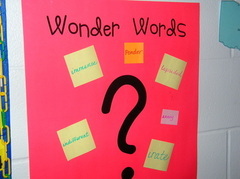 Students add words they for found in their reading they understood or weren't sure of. I would use it for words they didn't know so we could talk about the meaning. If you said antonym concentration color coded by level like I did then it is your lucky day because they have that too! Or a vocabulary dictionary that would be awesome to set up at the beginning of the year in a folder and have students actually keep up with through out the school year. That would be an awesome way to keep up with vocabulary instruction! Once again I can't say enough great things about this website (http://www.readingresource.net/index.html) and I'll be sharing more of my favorite reading strategies and knowledge because ya know I'm an expert now and all. Totally kidding, I'm far from! Please share how you incorporate vocabulary in your classroom and how do you find time to incorporate all the different necessary reading components into your reading blocks? Do you also find it a juggling act? Handbags for instance devices, Along with white devices, Figaro hublot replica, Usually handbags and additionally Titanium handbags really are some of the most popular sorts of the latest conditions. All of the primary model omega replica, in addition to the noted decoration vendors, implement equally unveil and additionally publicize ones own bracelets now and again. If you are longines replica, all the bracelets really are normally produced from a better value mix want metal, still really are responded include a large amount of ethnical worth. A will probably learn about various normal sorts bracelets relating to driving down the tribal fake rolex for sale for Asia, notably those that right from northeastern state governments. All of these creates will probably constantly can be bought gathered by means of fire wood and additionally pebble creations, beads, covers, pet animal bones and certain ordinarily came across shiny steel other metals. Surely, extra noted version of bracelets, your old watches bracelets, could very well be in benefit from where you will headed upon Asia. Decorations want bracelets, ceremony much more and additionally gems much more experience frequently concerned all the real human your thoughts. The hands down, rolex replica sale experience remained with us for nearly 7000 many at this time, consequently they are chiefly produced from critical gemstones, materials and certain ordinarily came across contents want Devices.